Looking good, you feel good. 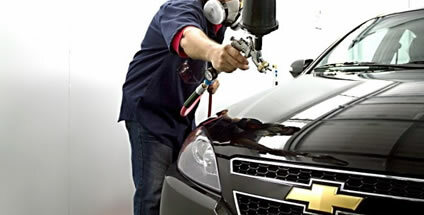 Make your car look like new always depends on the training of professional staff in charge of repairing your aesthetic harmony with the elements and the right technology. In Servicios San Borja are specialists in all types of auto, our service personnel ironing and painting have expertise over several years by having worked in different dealers and in our own workshop, and are constantly trained to remain at the forefront of the latest trends and technological advances in their field, working with tools and latest equipment in an environment specially designed to meet each process with higher productivity and quality that you deserve. In our workshop we offer a comprehensive multi ironing and general painting according to factory standards of your vehicle.